We are dedicated to our Nation’s values of “Life, Liberty, and the Pursuit of Happiness”. We promote equality and justice for all humans. We support the constitutional protection for individual liberties provided in the Bill of Rights of the United States. We advocate for prudence in interpretation of or amendment to the US Constitution and all regulatory policy. It is our position that all humans have value to offer to our communities, state, and country. We know it takes folks from all walks-of-life to fulfill the complexities of achieving the goals of our society and industries. Recognizing that our diversity is our strength, we embrace the individual and collective power that has been granted to us. We know we have not yet achieved the ideals of our Nation’s values for everyone. These ideals are what we are committed to strive for every day. We believe it is our obligation to mandate that our elected officials adhere to political and societal objectives that will truly result in equal opportunity and freedom for all. We believe in taking social responsibility to provide that all are able to attain the basic needs that support health and life. We promote social support that allows individuals the ability to achieve personal goals in order to provide for their needs and some of their desires. We respect and appreciate the natural world that has been created to sustain all life on our planet. We acknowledge that conserving this intricate ecosystem is vital to ensuring the perpetual cycle of life for current and future generations. It is our responsibility to advocate use of our natural resources by means that do not abuse our environment. We feel an obligation to promote humane methodologies in the deployment of other creatures among us. The ultimate goal of realizing these ideals and principles is to cultivate success and well-being for all who live here. 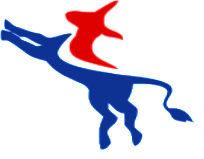 Do you share the Elkhart County Democratic Party’s resolve to create stronger community and country by fostering an inclusive government and social structure? Your input and efforts are welcome to provide us the tools that will strengthen our focus. We invite you to join us as we move forward in supporting our perspectives.